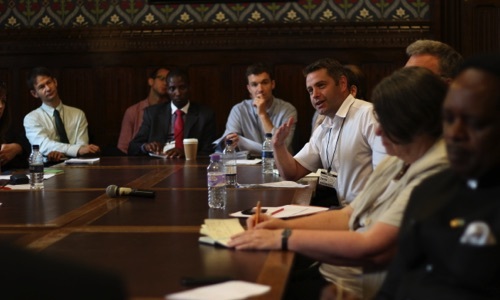 Aegis coordinates the All-Party Parliamentary Group for Genocide Prevention in the UK, and is working to develop a global parliamentary network for prevention of mass atrocities. Aegis provides the Secretariat for the UK’s All Party Parliamentary Group for the Prevention of Genocide and Crimes Against Humanity. APPGs provide the space and structure for members of the House of Commons and the House of Lords from all political parties to meet and discuss subjects of shared interest. 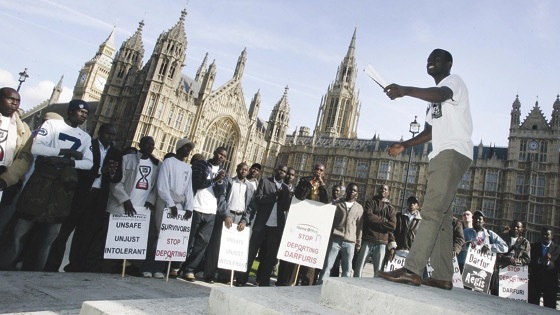 The UK APPG on Genocide Prevention was set up in July 2005 to encourage parliamentary engagement with UK responses to and prevention of genocide and crimes against humanity. Former International Development Secretary Clare Short was its first Chair. In 2007, Aegis helped to establish a counterpart group in the Canadian Parliament. They are the only APPGs on Genocide Prevention in the World. 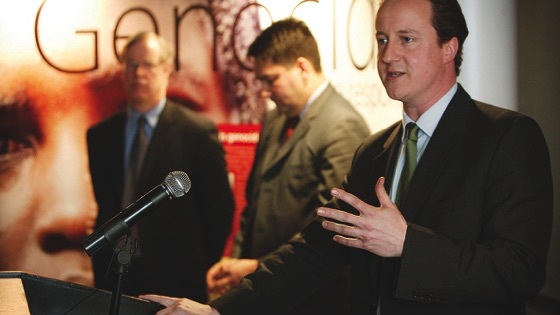 The Genocide Prevention APPG was formed to ensure that the United Kingdom does all it can to prevent genocides and crimes against humanity; increase the flow of independent information and analysis to UK Parliamentarians about genocides and crimes against humanity; support Parliamentarians so as to increase the effectiveness of their scrutiny of government, and promote understanding of the importance of long term approaches to genocide prevention. The Aegis Trust works to assist the APPG in its interests, providing advice and research on particular issues of relevance. Aegis also organises events on behalf of the APPG to further encourage engagement and stimulate debate within Westminster. The Aegis Trust is pursuing creation of a global network of parliamentarians and parliamentary groups working to prevent genocide and crimes against humanity. There are currently no mechanisms that hold national governments to account for their action or non-action in the prevention, punishment and response to genocide and atrocity crimes. Yet parliamentarians are important instruments of change, holding positions of influence over the executives of democratic states and playing an important role in policy formation and legislative development. The success of parliamentary groups in the UK and Canada has demonstrated the positive contribution such groupings can have. In 2009, the UK APPG secured a major victory in its campaign to close two significant loopholes in the UK prosecution of genocide, war crimes and crimes against humanity (see below). By working globally on these issues, parliamentarians will ensure that governments become more accountable to their publics and in the eyes of the world. This will help to build a new global culture of accountability that champions the responsibility to protect, respond and prosecute. The network will strengthen states’ national capacity to contribute to genocide and mass atrocity prevention, promoting the sharing of knowledge, experience and best practice. Youth can play a huge role in advocacy and the development of policy. Aegis Students is the youth arm of the Aegis Trust, committed to campaigning, educating and fundraising to end genocide. Over the past few years, a signficant focus of Aegis Students’ activities in the UK has been its Youth Leader Project, consisting of two training programmes designed to inspire leadership and responsibility among young people at universities. So far hundreds of students have taken part, drawn from over twenty universities the length and breadth of the country. You can find out more about these programmes here. Mary Creagh MP, former Chair, All-Party Parliamentary Group for Genocide Prevention. In 2009, Aegis and the APPG worked together to close two loopholes in British law relating to the prosecution of genocide and war crimes. At the time, British law could prosecute those suspected of war crimes, crimes against humanity and genocide related crimes committed after 2001. This meant that crimes committed in Yugoslavia in the 1990s, in Rwanda in 1994 could not be brought to trial in the UK, even if they were resident in the country. Chairs of the APPG John Bercow MP and Mary Creagh MP campaigned with the Aegis Trust, arguing that the United Kingdom should not become a safe haven for war criminals and genocidaires. On 7th July 2009, the government announced that it was going to backdate jurisdiction to January 1991. The Secretary of State for Justice acknowledged the direct role played by the Genocide Prevention APPG in bringing about this change to the law. On 26th October 2009, the campaign secured another victory when the second loophole was closed. Following concerted lobbying from the Aegis Trust, a coalition of peers and leading legal figures, the Government tabled a fresh amendment to the Coroners and Justice Bill that closed the legal loophole that in the past allowed genocide and war crimes suspects to visit the UK or live here for years without fear of prosecution. The loophole meant that UK legislation regarding genocide, war crimes and crimes against humanity applied only to people who were legally defined as resident in the UK. This meant that those residing in Britain, or persons refused asylum but cannot be returned home were exempt from prosecution. Today, thanks to the Government amendment, UK legislation for the prosecution of genocide-related crimes, war crimes and crimes against humanity covers all people present in Britain. The APPG continues to work to ensure that the British Government and its agencies uphold their responsibility to prosecute suspected war criminals and genocidaires. To prevent genocide and mass atrocities, policy-making has to move from a reactive stance on crises to one that’s proactive – stopping crises of the future which are developing now. If you’re a student or young person and would like to learn how to be an effective public speaker or campaigner, find out more about what Aegis Students can offer you here. If you care about humanity, it’s not enough to stay silent in the face of mass atrocities. 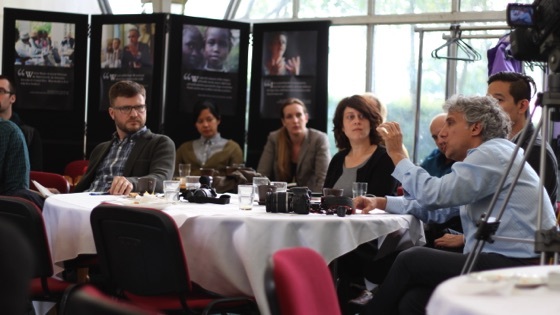 Add your voice to ours and find out how you can get involved in the work of the Aegis Trust.